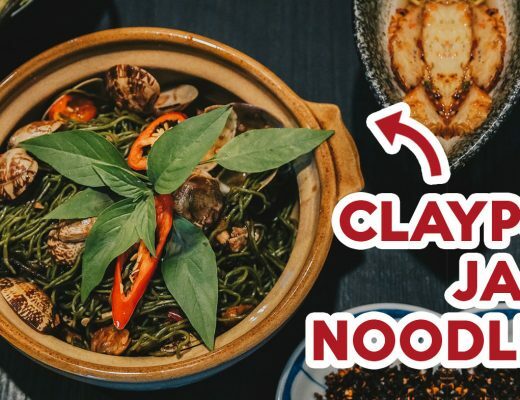 Thai food lovers, here is another place to get affordable Thai food. 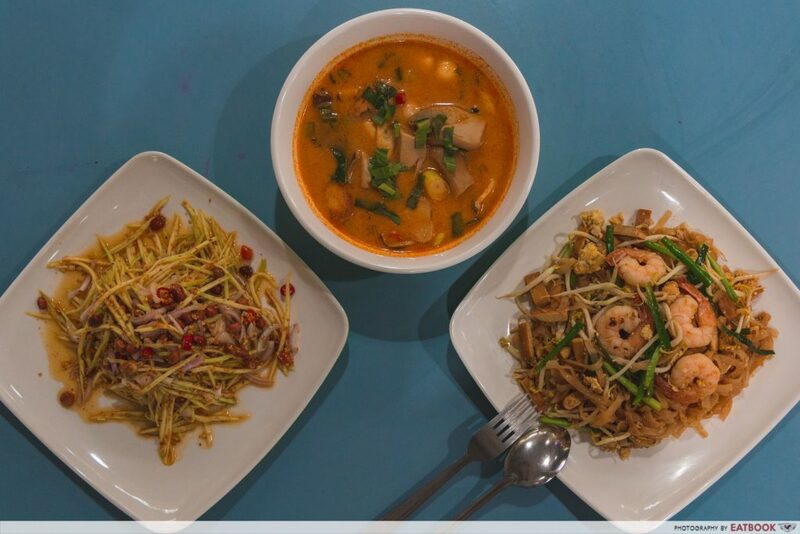 Sap Thai at Amoy Street Food Centre serves up a variety of classic Thai dishes, from mango salad to tom yum soup. 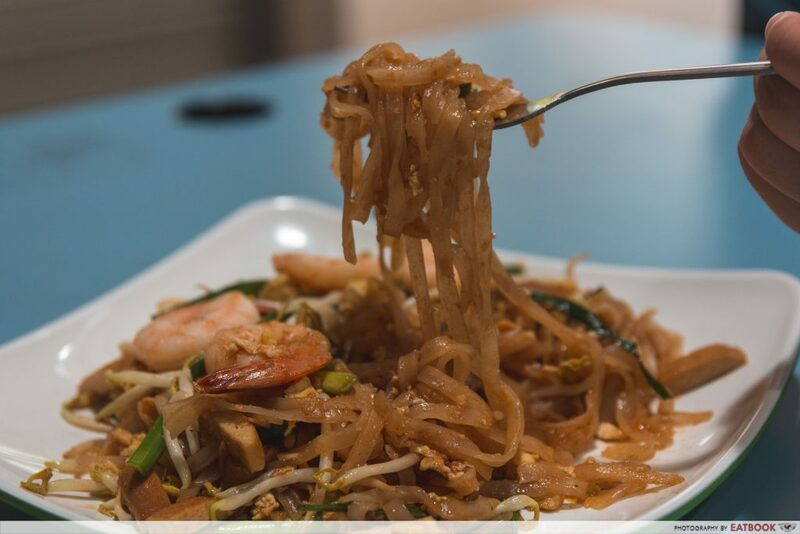 The owners have been serving Thai food since 2009! 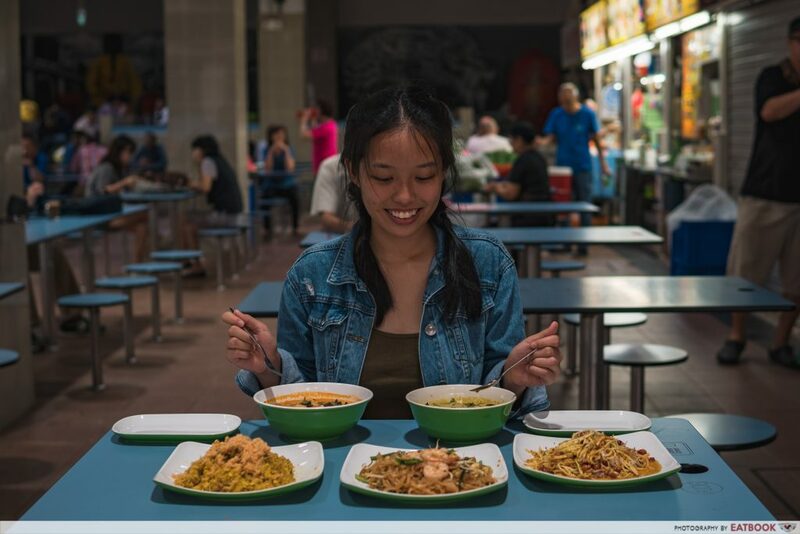 The stall is famous for their Thai Basil Chicken Noodles ($5), which I unfortunately didn’t get a chance to try, but the dishes that I ended up eating are worth a mention too. Let’s start off with their Mango Salad ($5). Sap Thai is very generous with their portions. 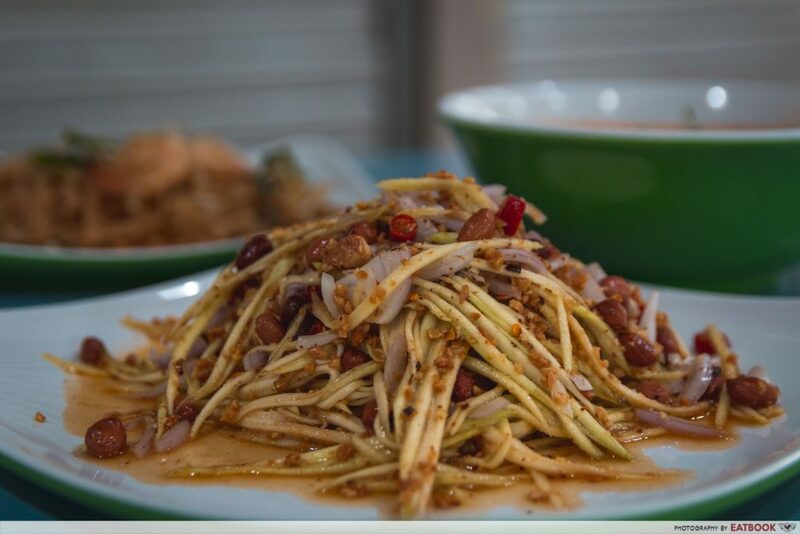 The mountain of crunchy mango shreds was mixed with onions, peanuts, tangy lime, and also chopped chilli for a spicy kick. I usually don’t like mango salads as most are either too spicy or too sour. However, I was pleasantly surprised by the balanced flavours in this dish. The first thing that hit me was the sweetness of the mango, followed by a refreshing tanginess, and finally the spiciness. None of the flavours made me scrunch up my face in protest. After indulging in this dish, my appetite was whetted and I quickly moved on to the next. 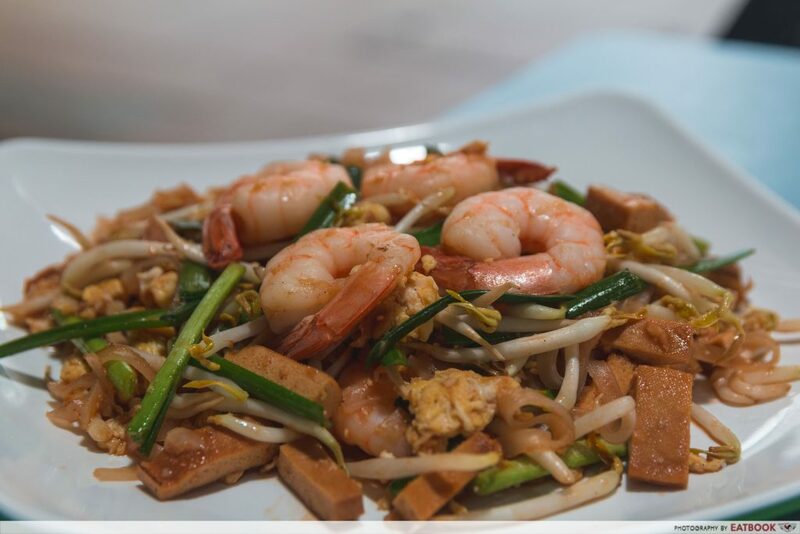 Topped with five prawns, their Pad Thai ($4.50) is a must-try dish if you are here. And that is coming from someone who doesn’t usually enjoy pad Thai at all! 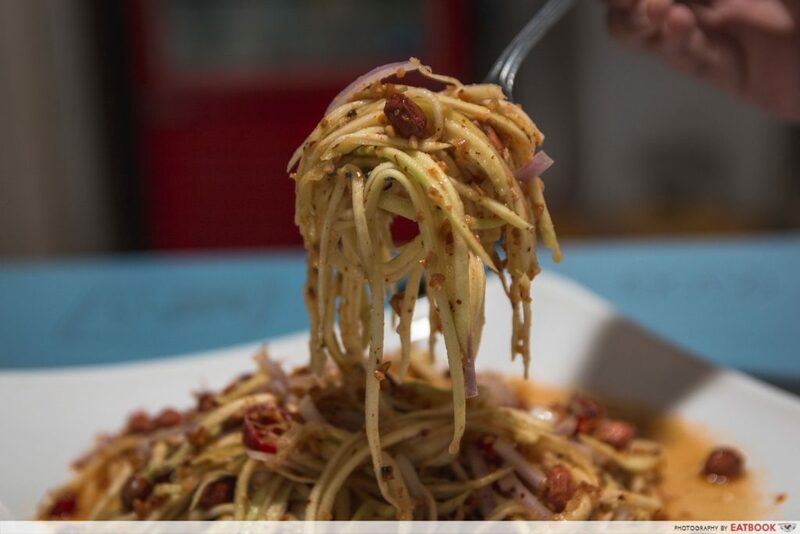 We were pleasantly surprised by how the noodles didn’t clump together like we expected after a long wait. 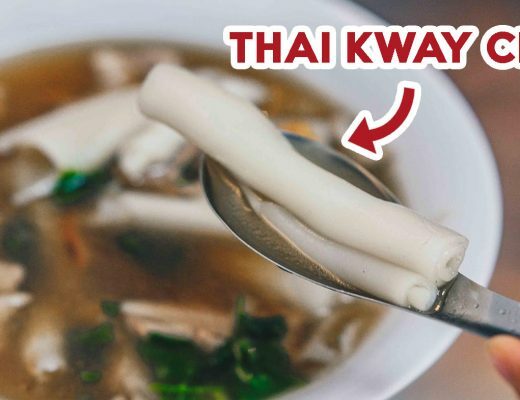 The rice noodles absorbed all the flavours, making each bite of silky smooth noodles oh-so-satisfying. I loved how the lime highlighted the umami fish sauce and how the sweetness of the dish was not overpowering. Crunchy ground nuts added texture to the dish. With the addition of sweet prawns, my taste buds were truly #blessed. Their Thick Prawn Tom Yum Soup ($5) was my favourite of the day. 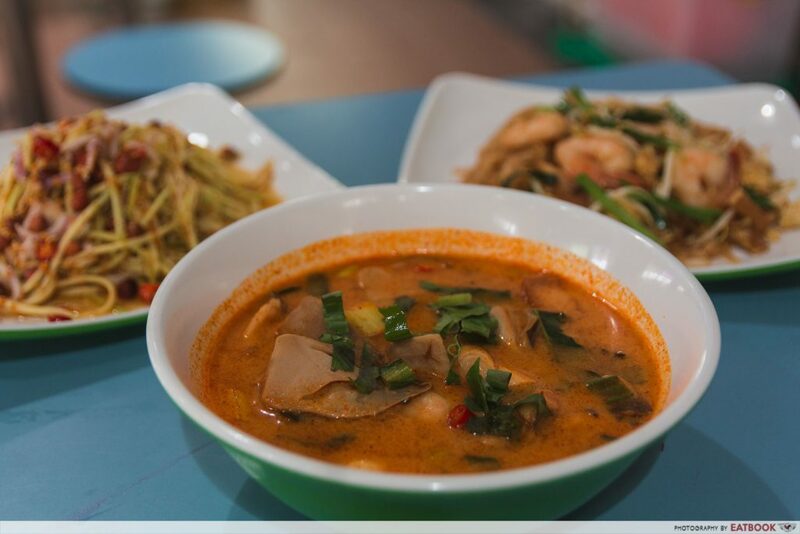 Aside from prawns, the fiery red soup was complemented by sliced fish, sotong, straw mushrooms, and a strong addition of lemongrass and chilli. Despite its intimidating color, the soup wasn’t as spicy as it looked. 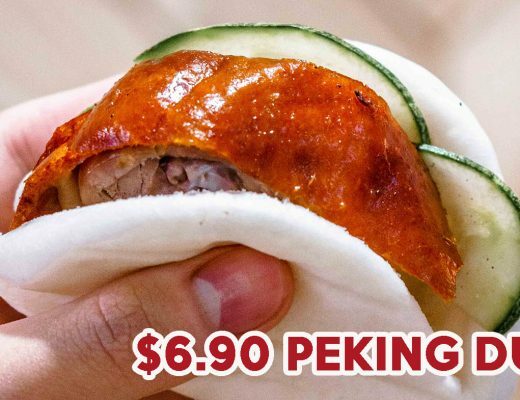 I could easily slurp it up and not end up choking. And it was super addictive! I lapped up spoonful after spoonful of that sour and spicy broth. The chilli had me perspiring profusely with a tingling sensation in my mouth. 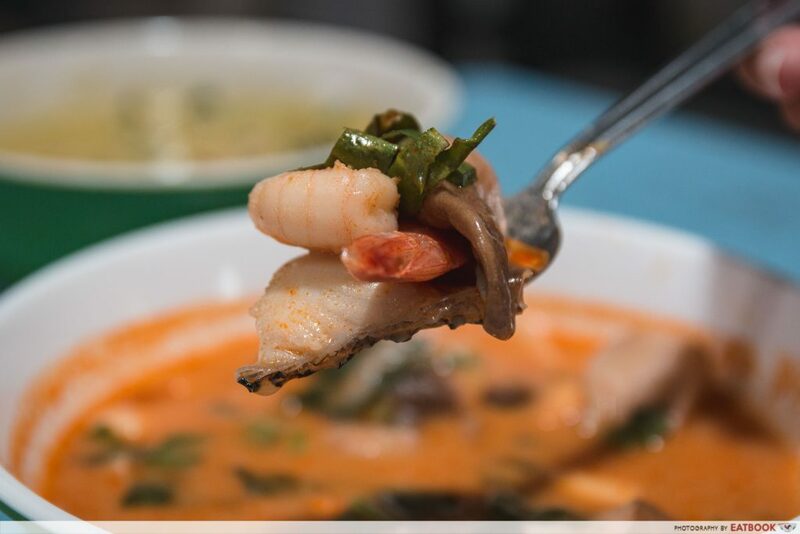 But all that was worth it; it was a solid bowl of tom yum. 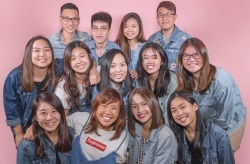 SAP Thai is located in Amoy Street Food Centre, a hawker centre in the CBD that many office workers flock to for lunch. One of the two chefs, who is Thai, said they don’t use MSG in their food. I didn’t find myself downing cups after cups of water hours later, so that must say something. Thai food is my weakness. If you can’t tell by my smile, I was really excited to eat and thankfully, I wasn’t disappointed. However, I wouldn’t say this is a place you have to go out of the way to eat at. Don’t get me wrong, they serve cheap and good Thai food, but many other places do too! I’d say this is the kind of stall you buy from when you are in the area. Large portions at affordable prices, why not? 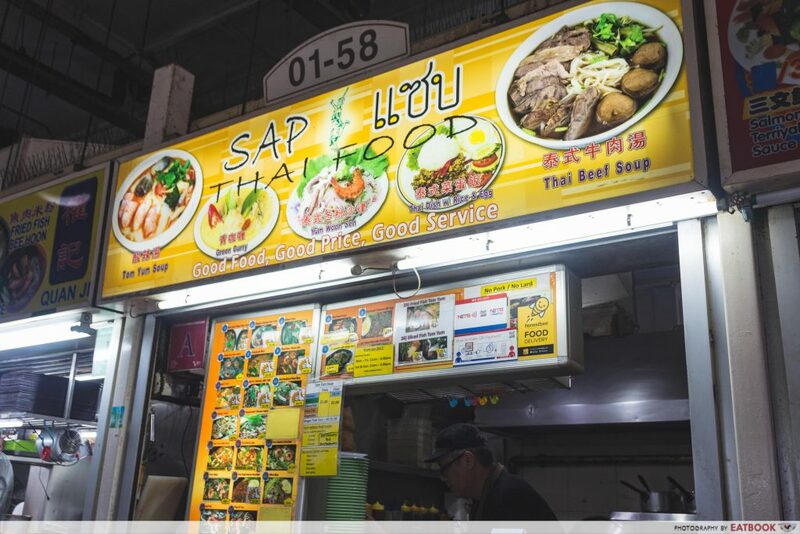 SAP Thai is not a halal hawker stall.